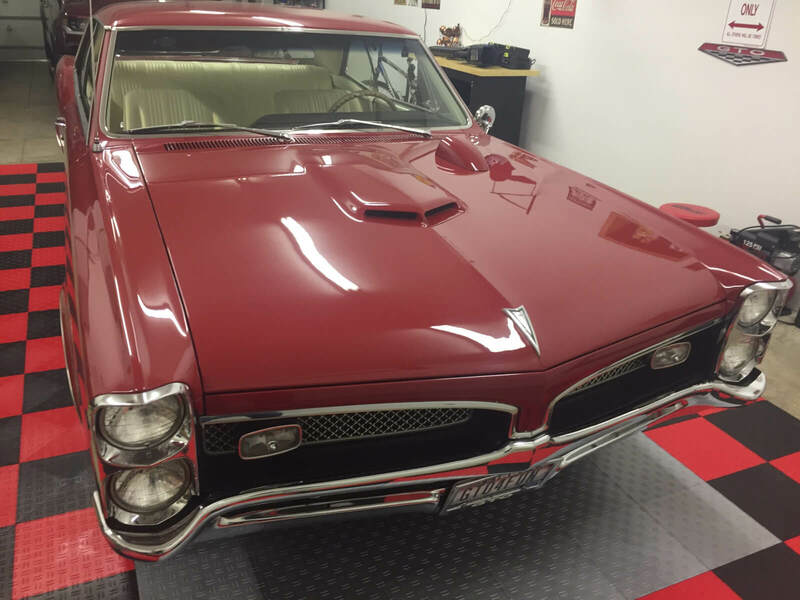 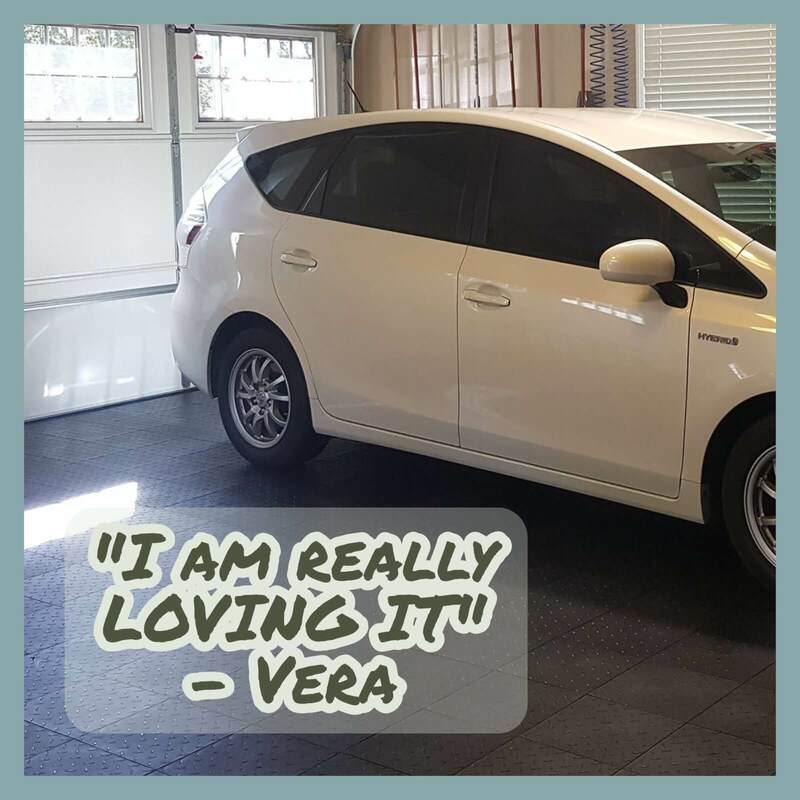 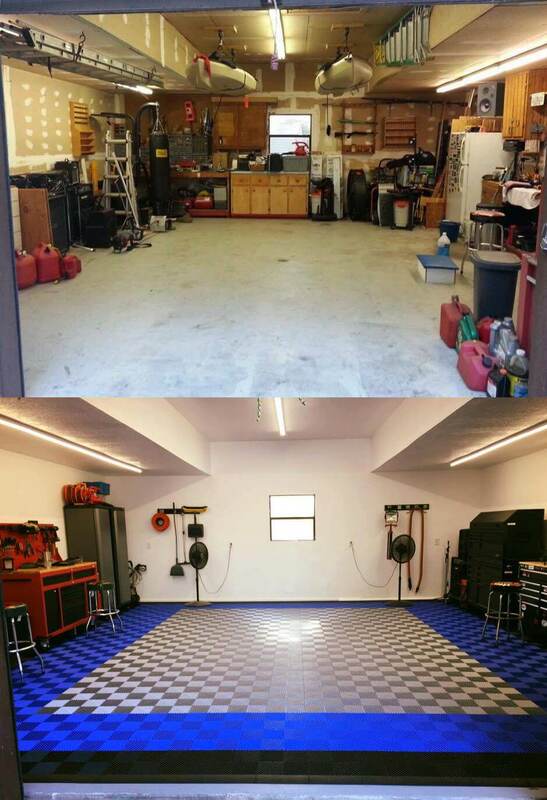 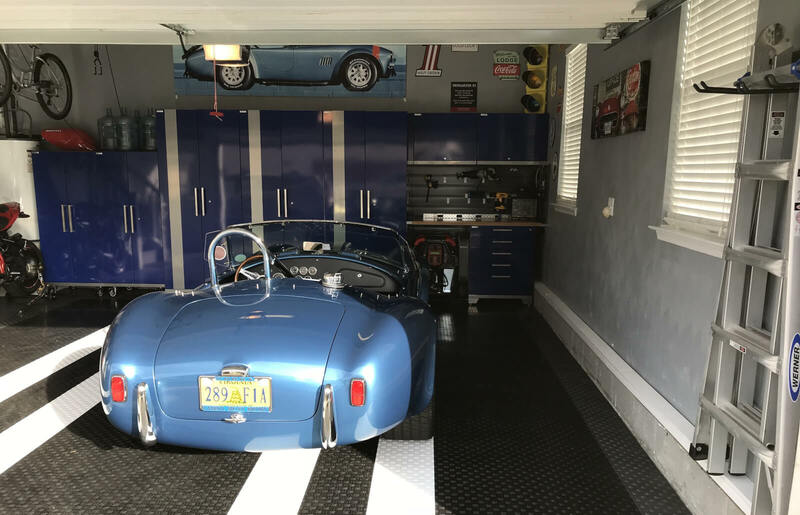 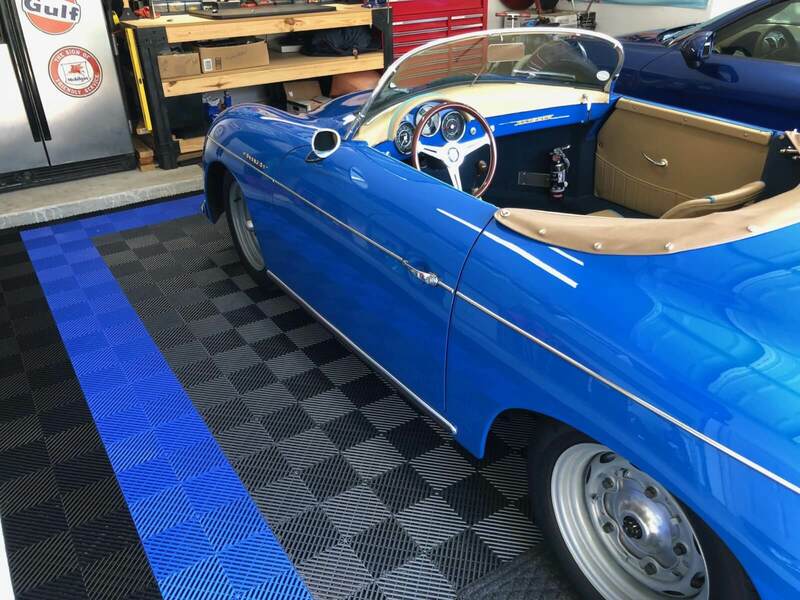 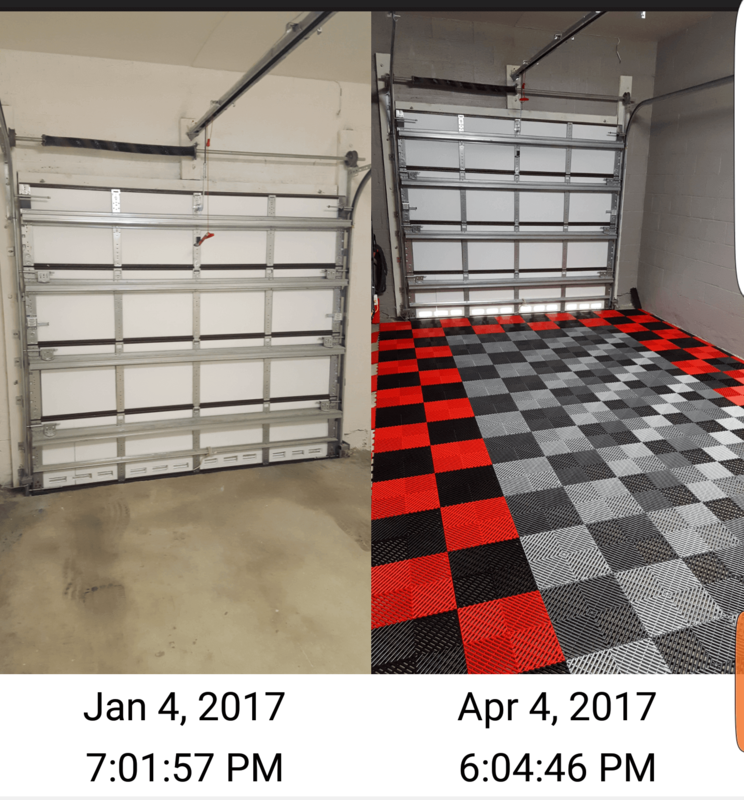 David C is halfway done with his garage and it is looking great. 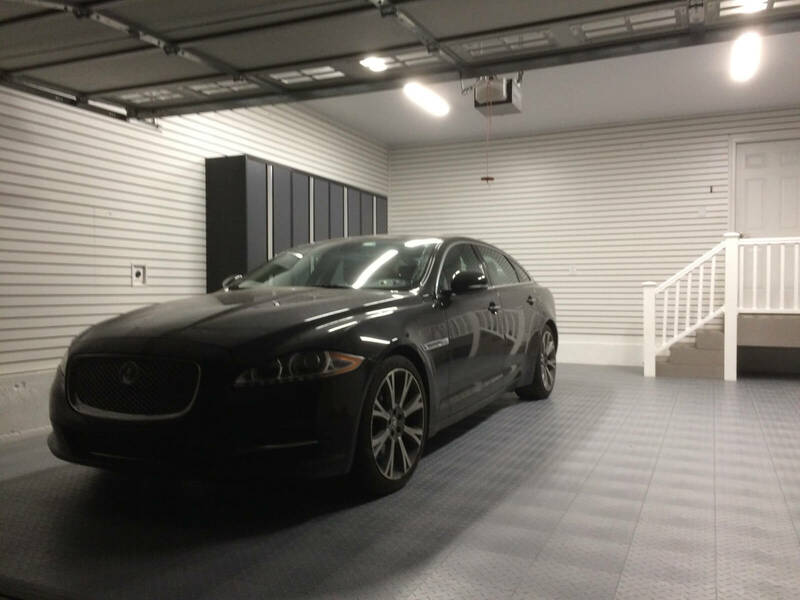 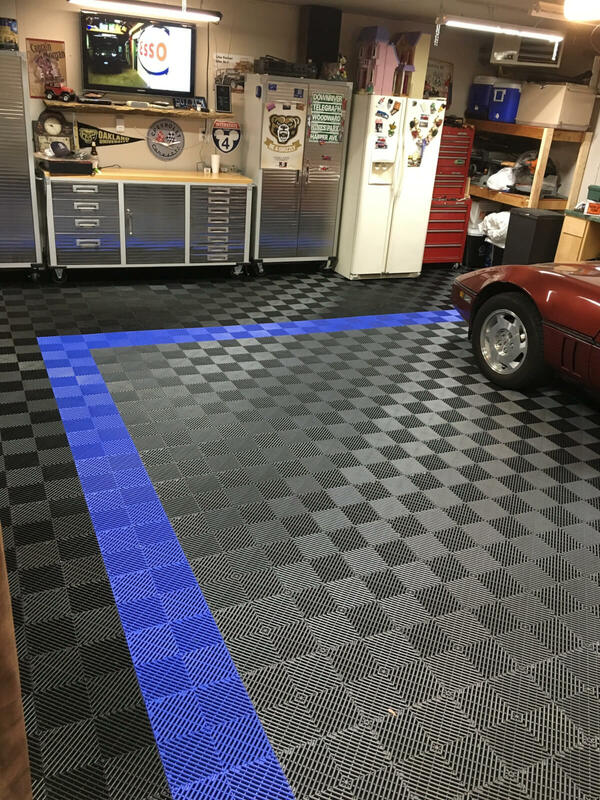 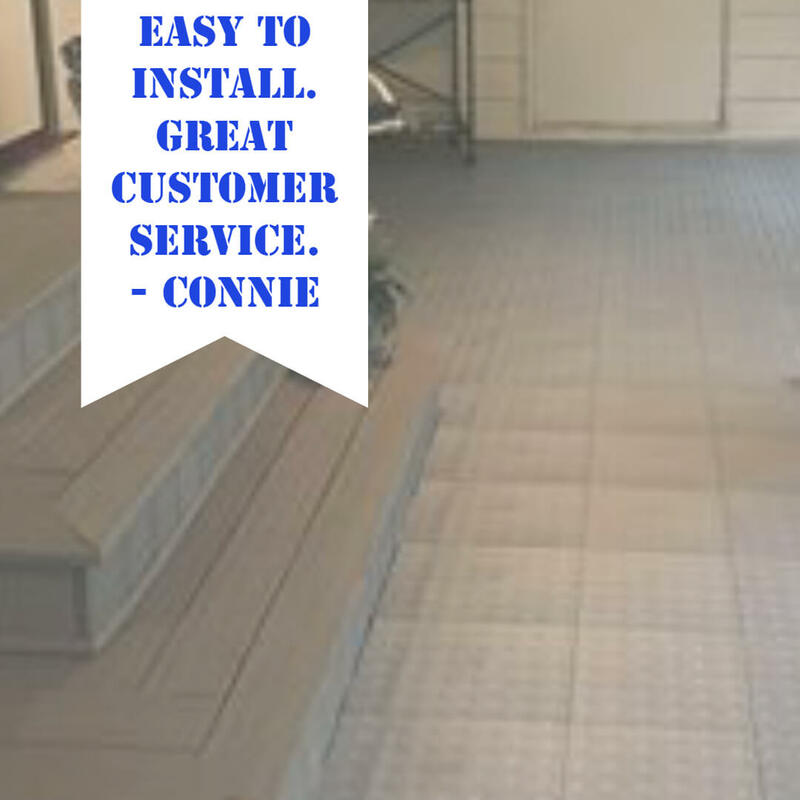 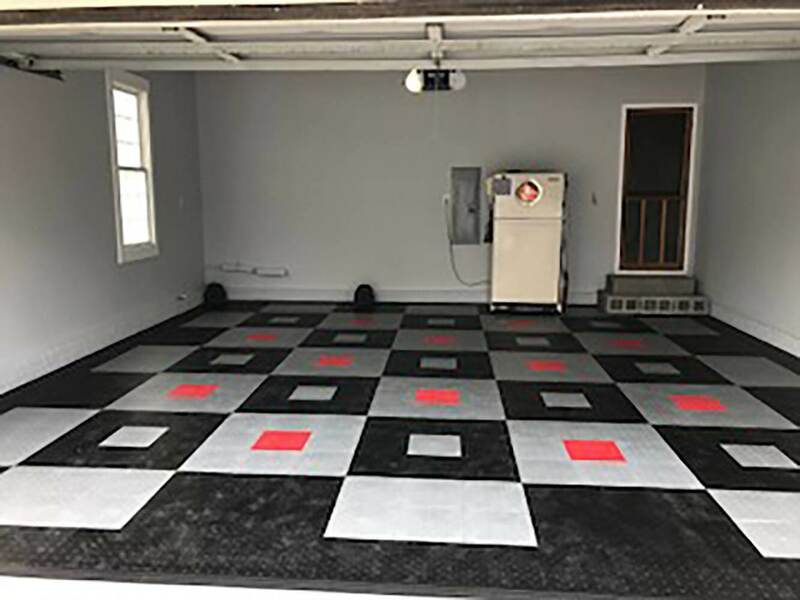 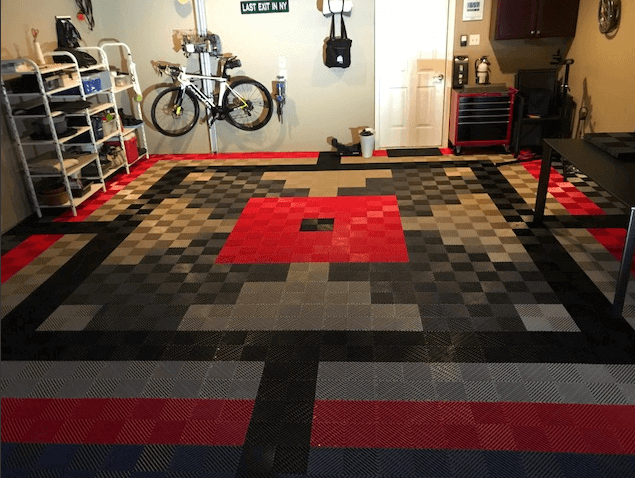 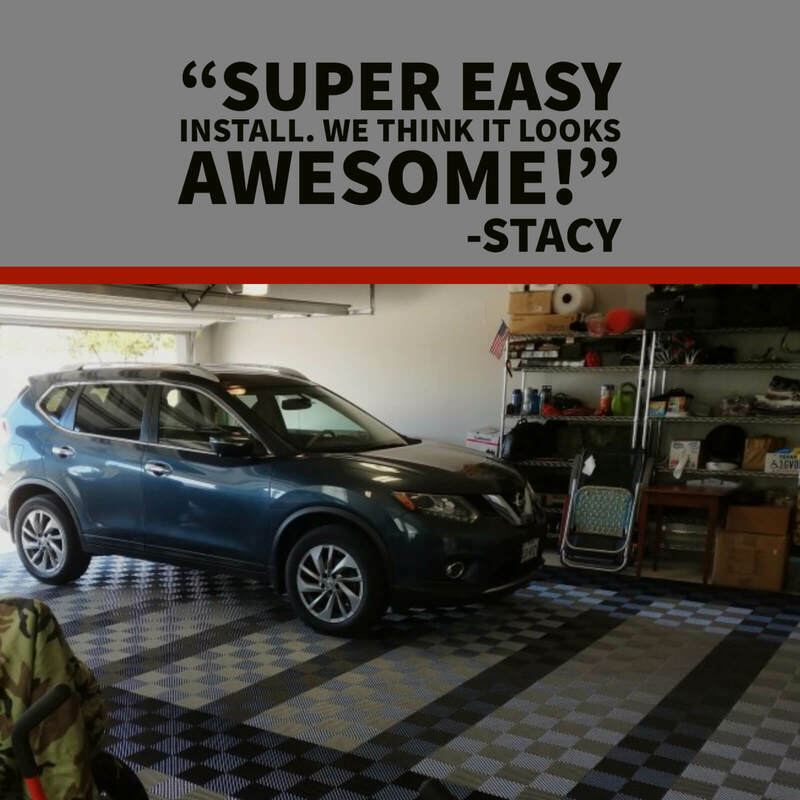 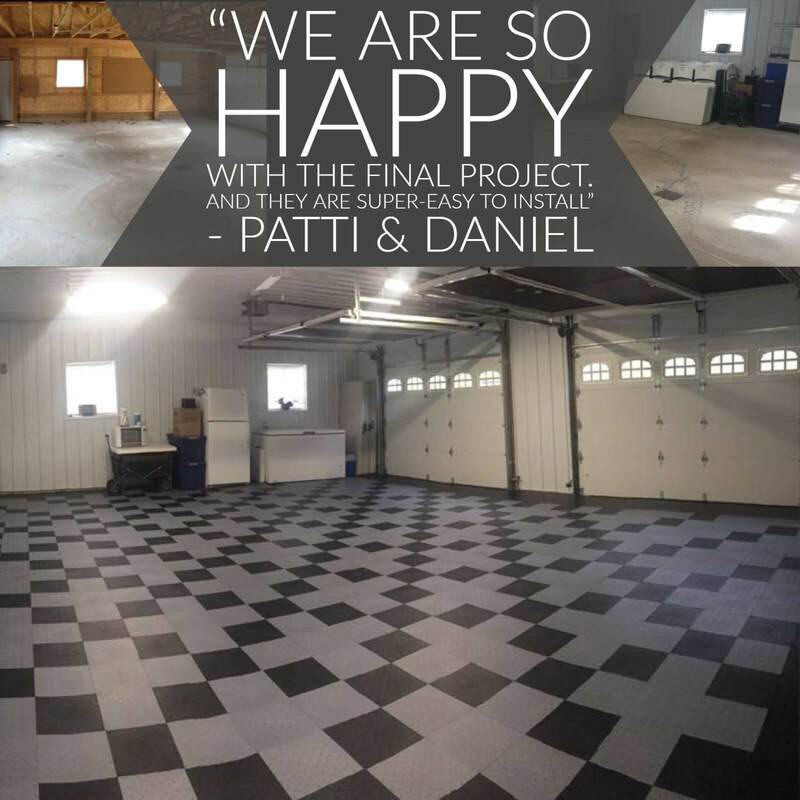 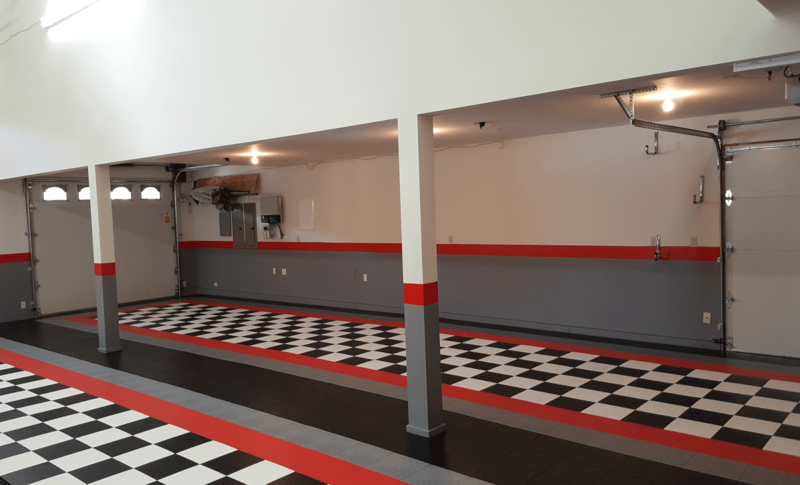 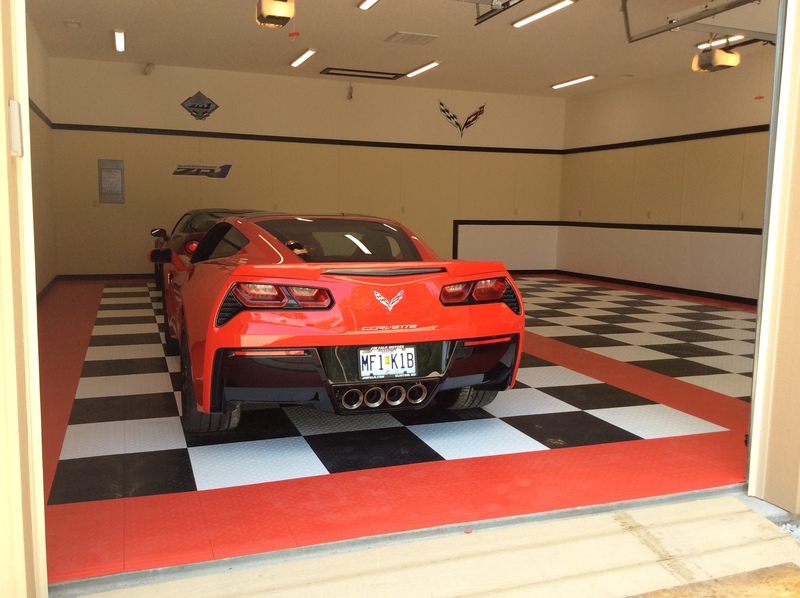 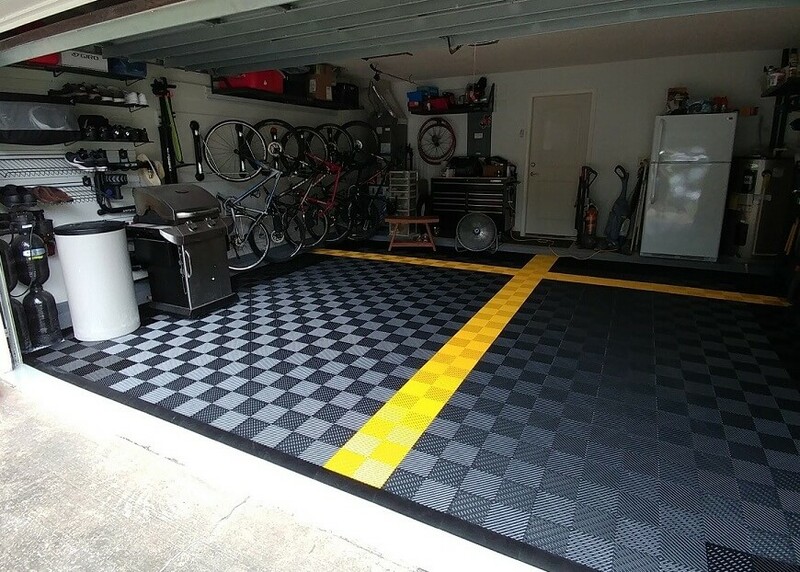 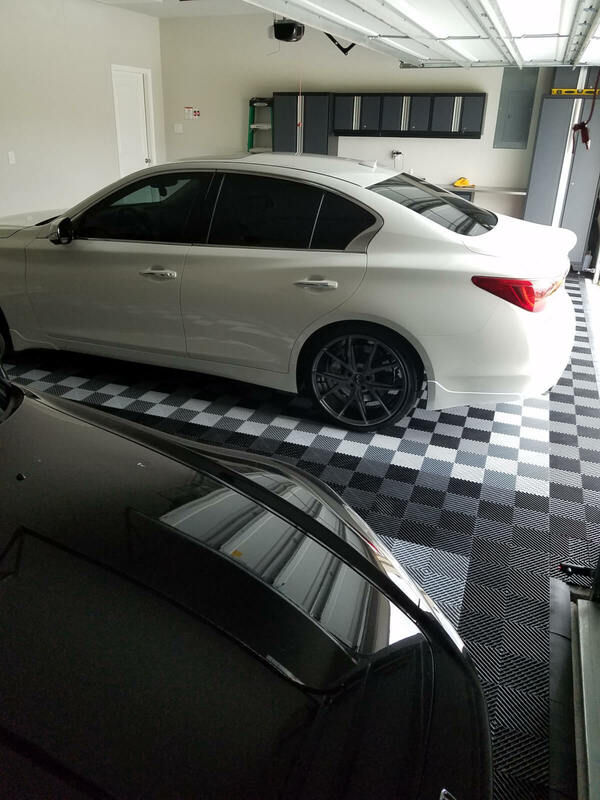 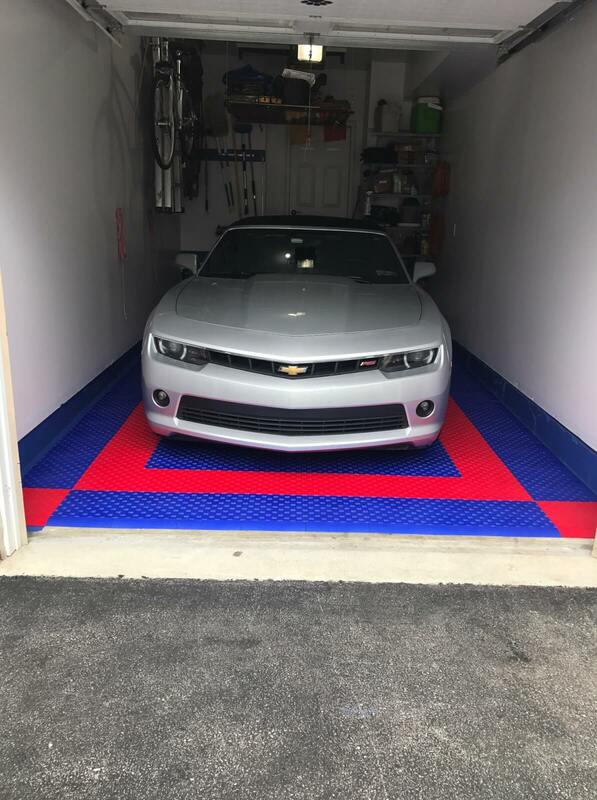 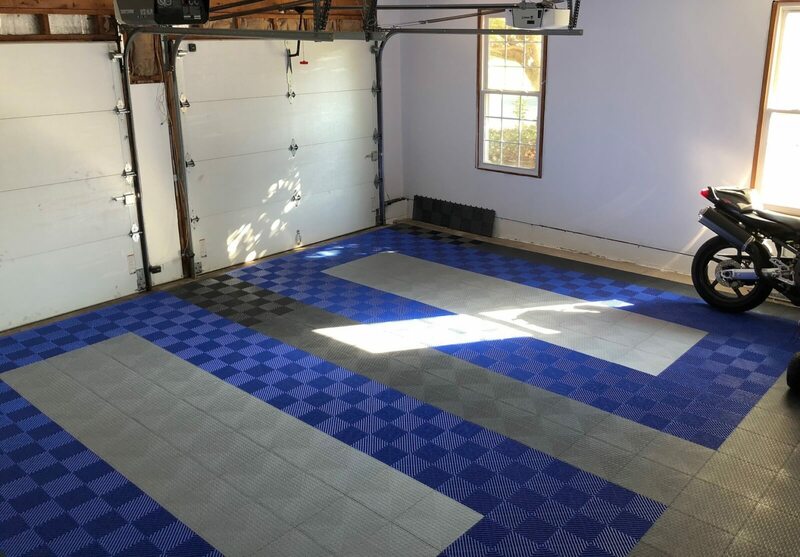 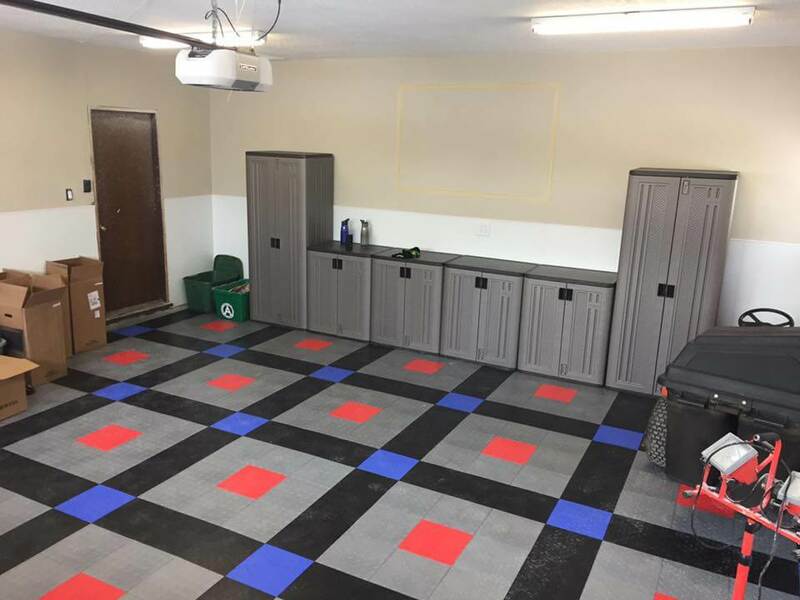 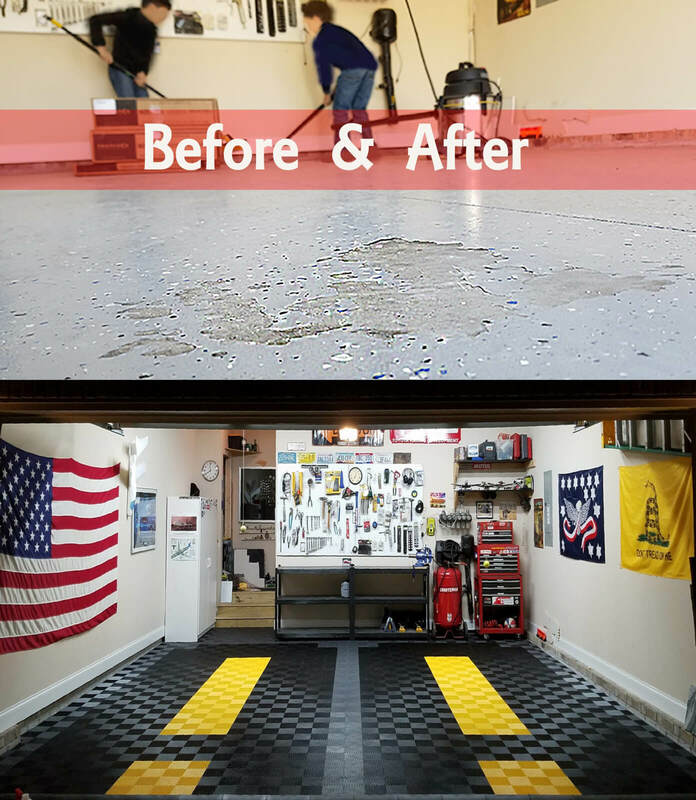 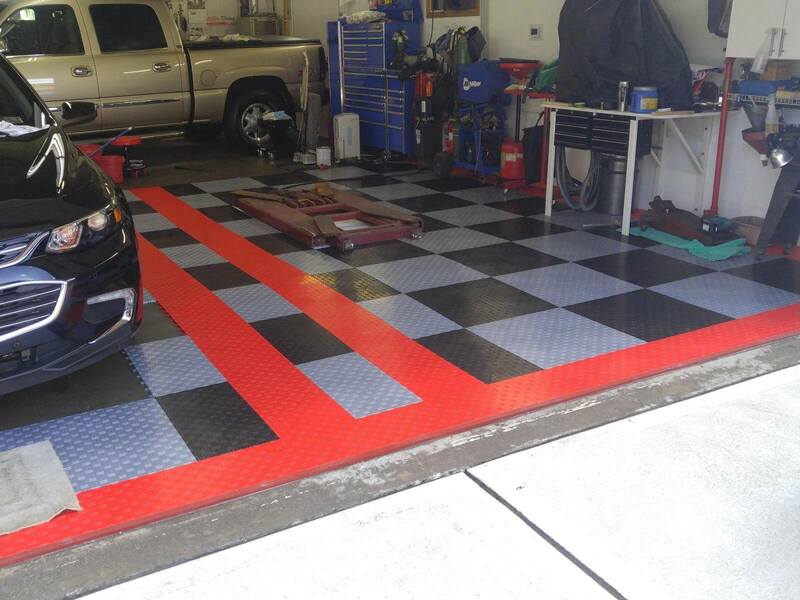 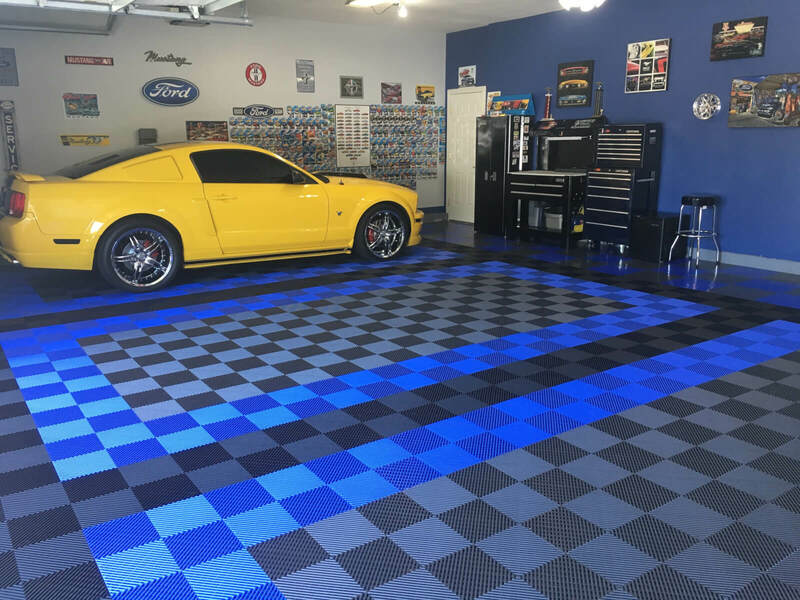 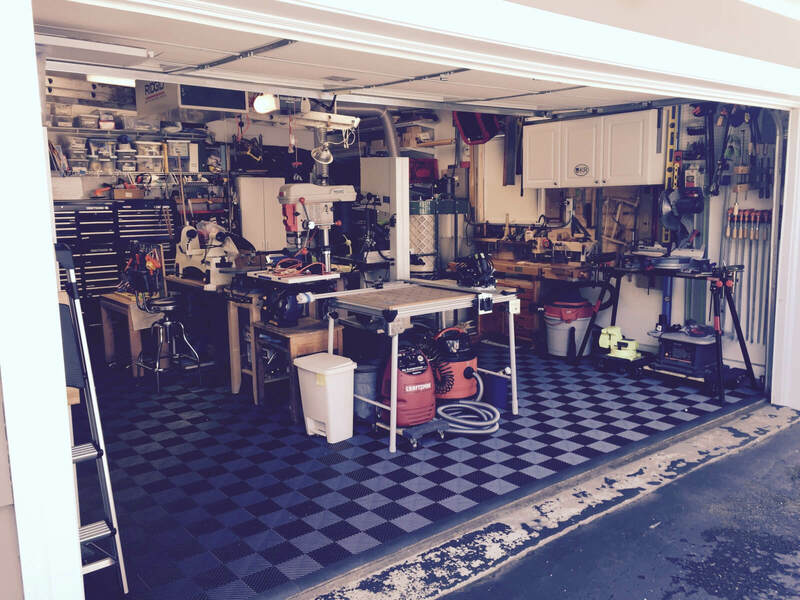 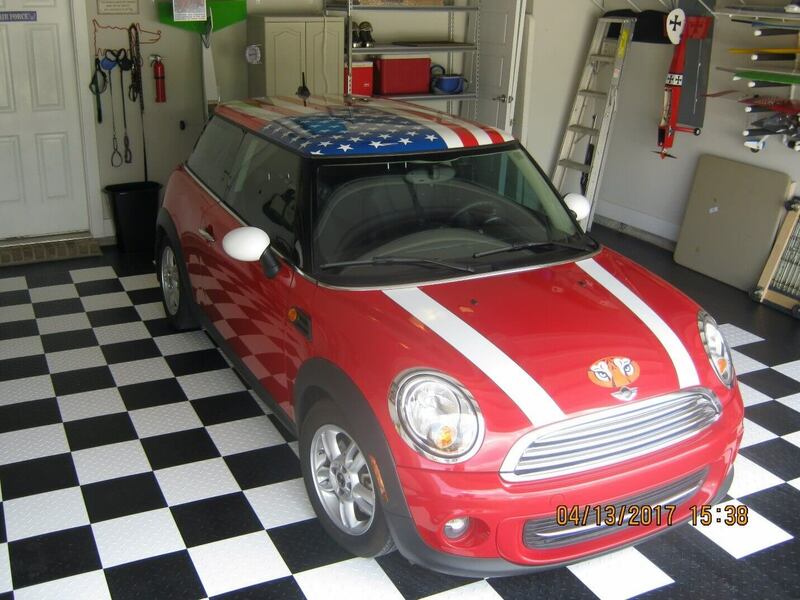 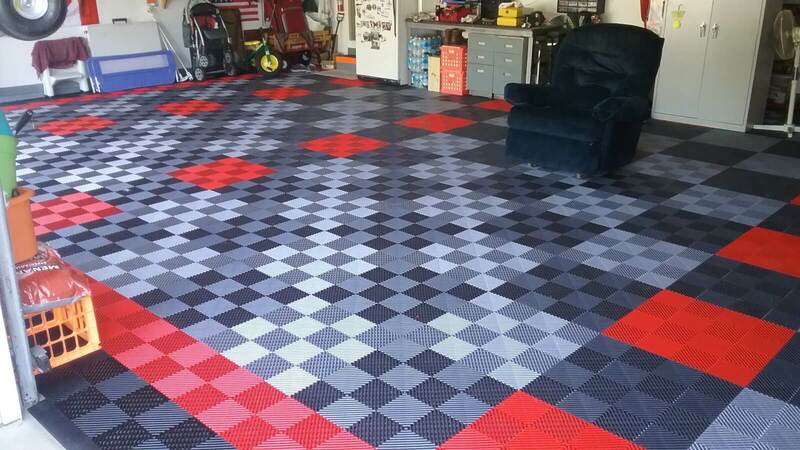 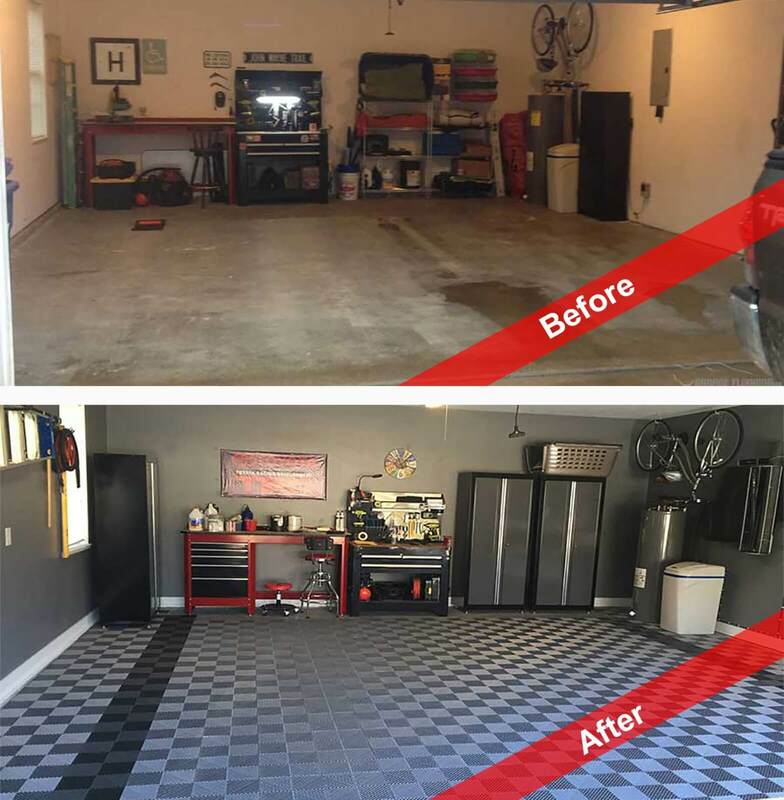 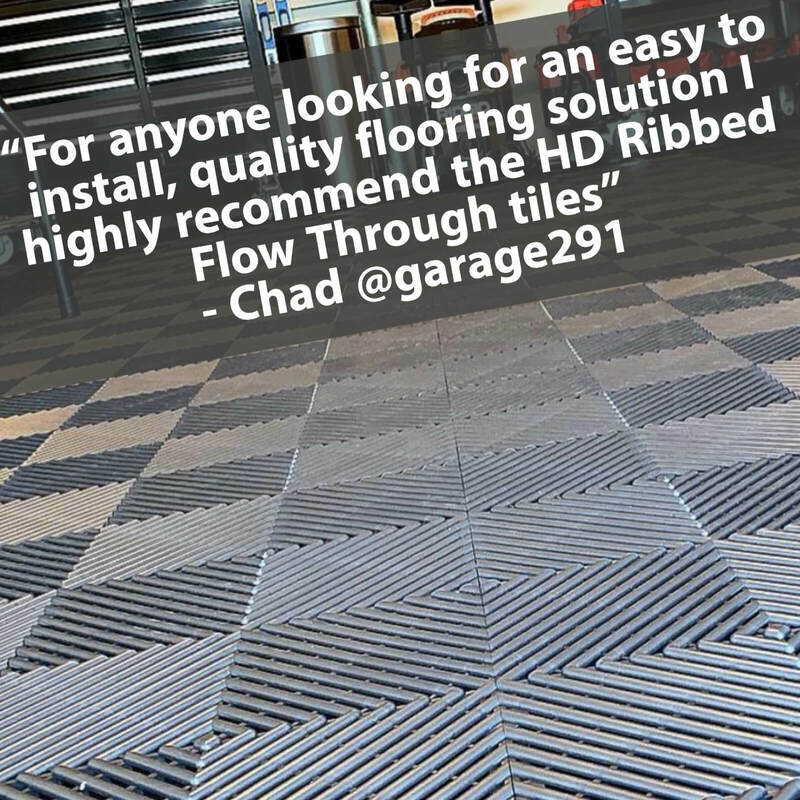 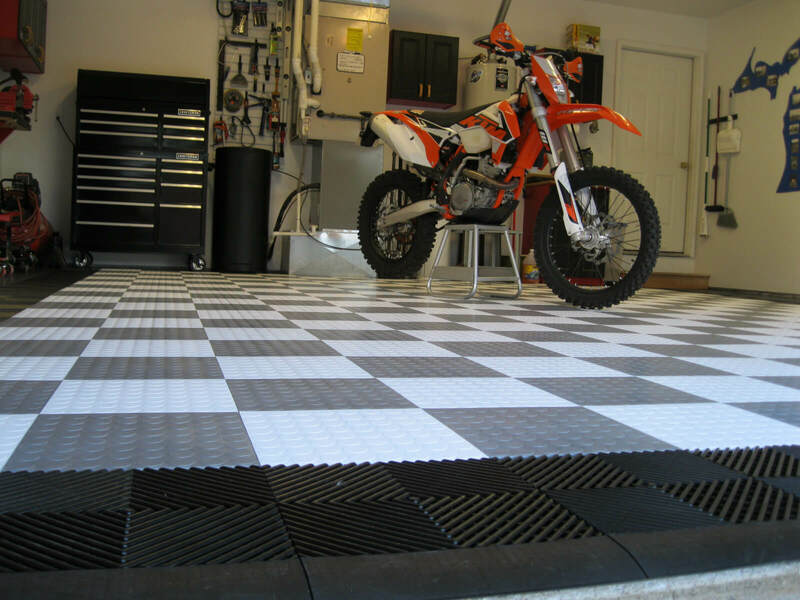 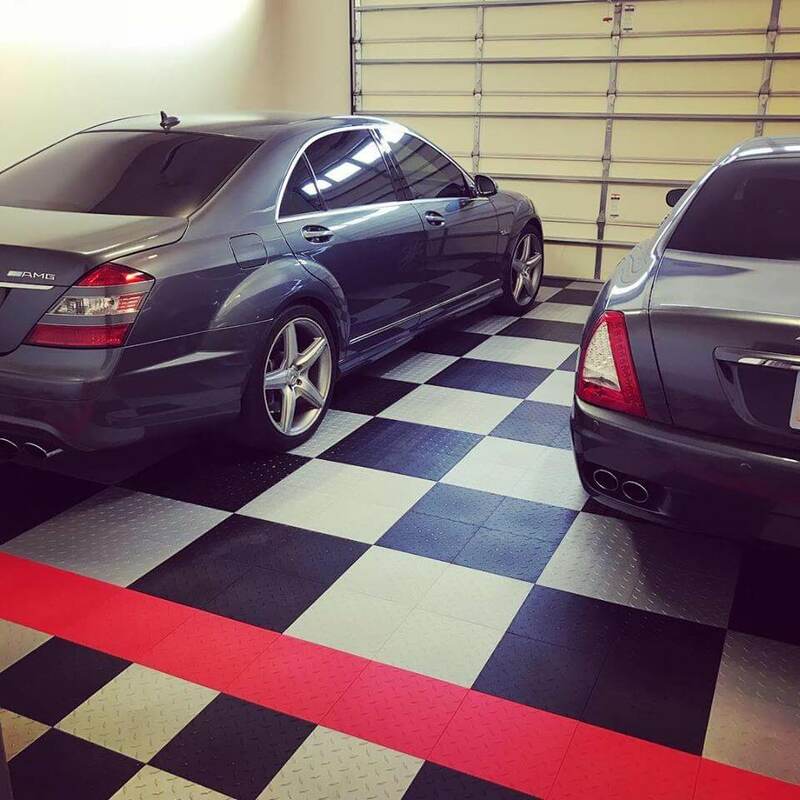 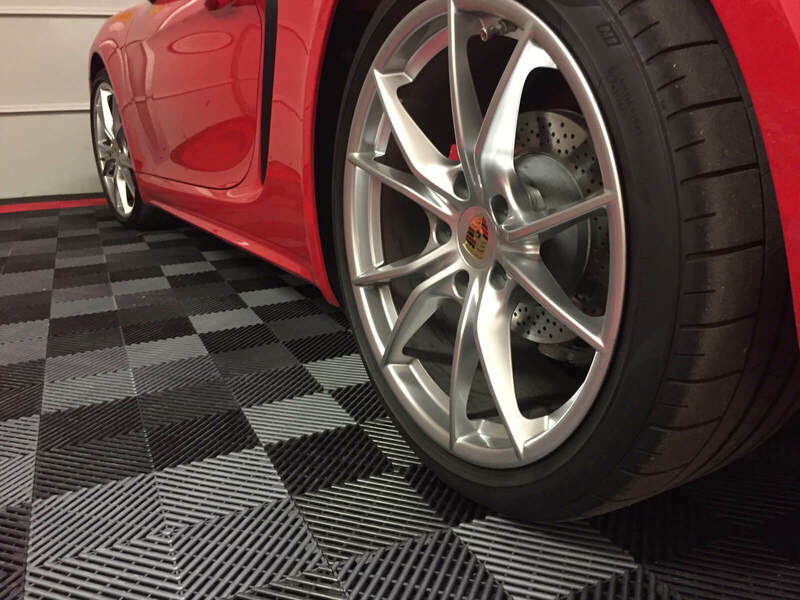 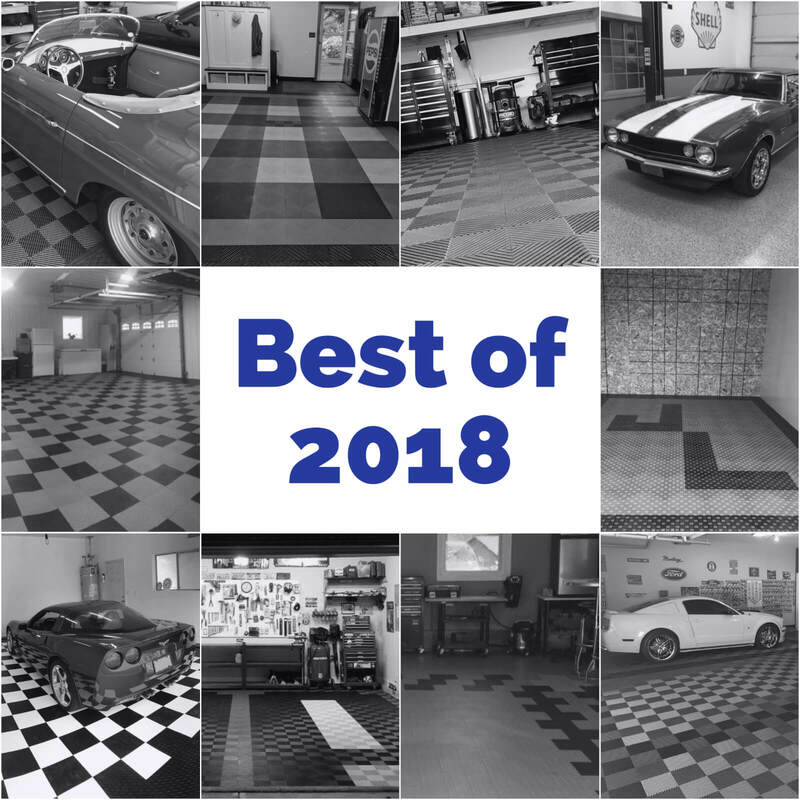 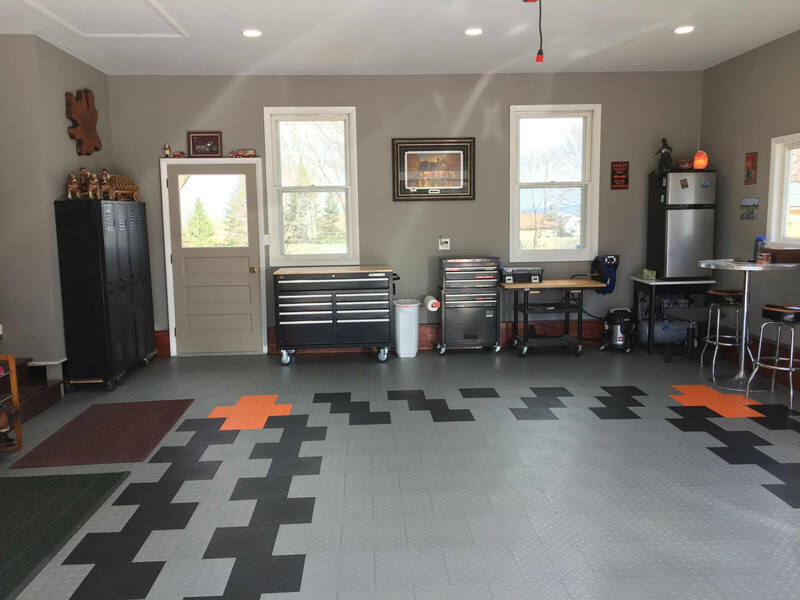 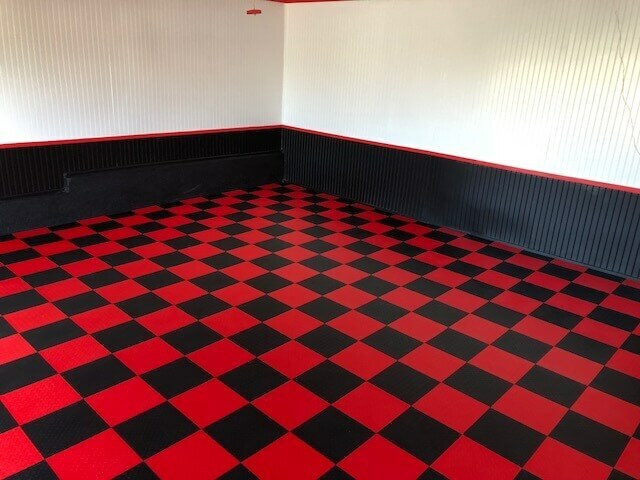 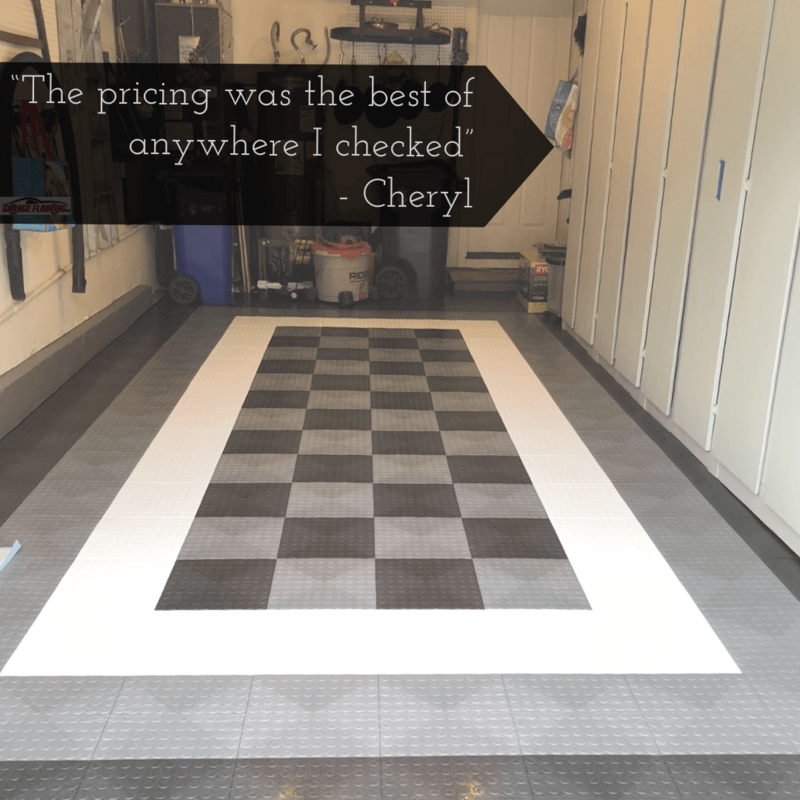 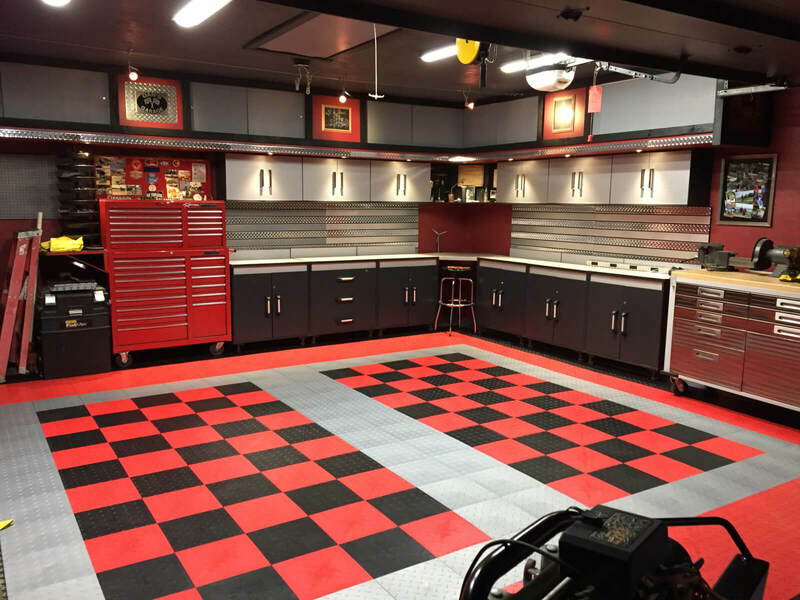 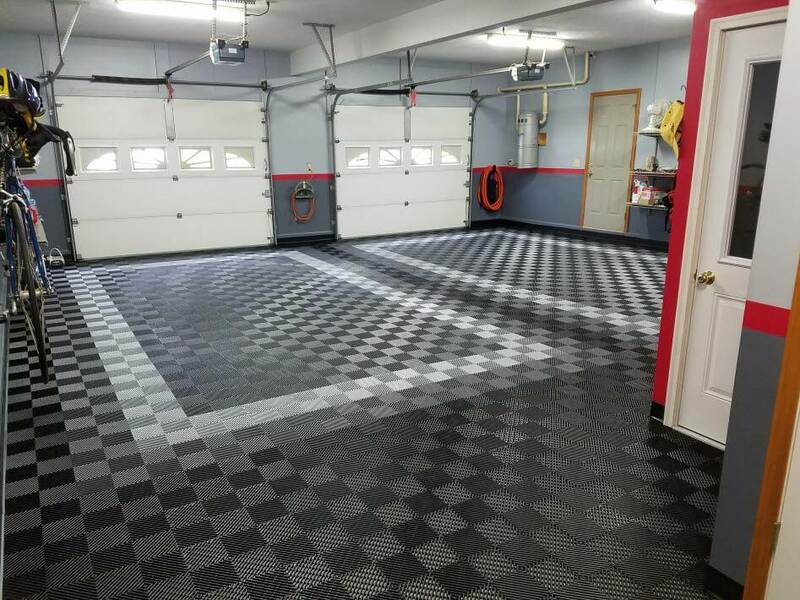 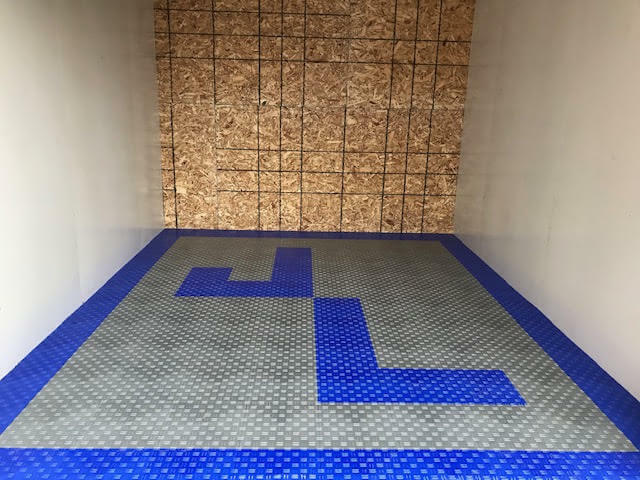 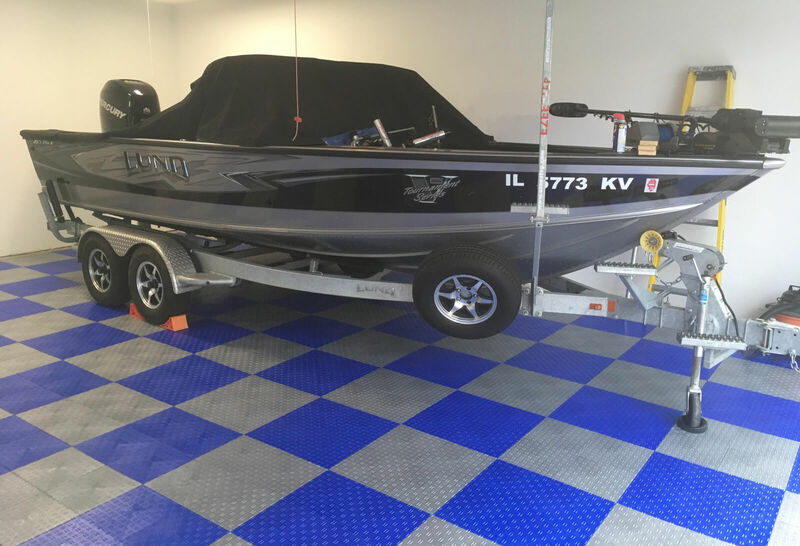 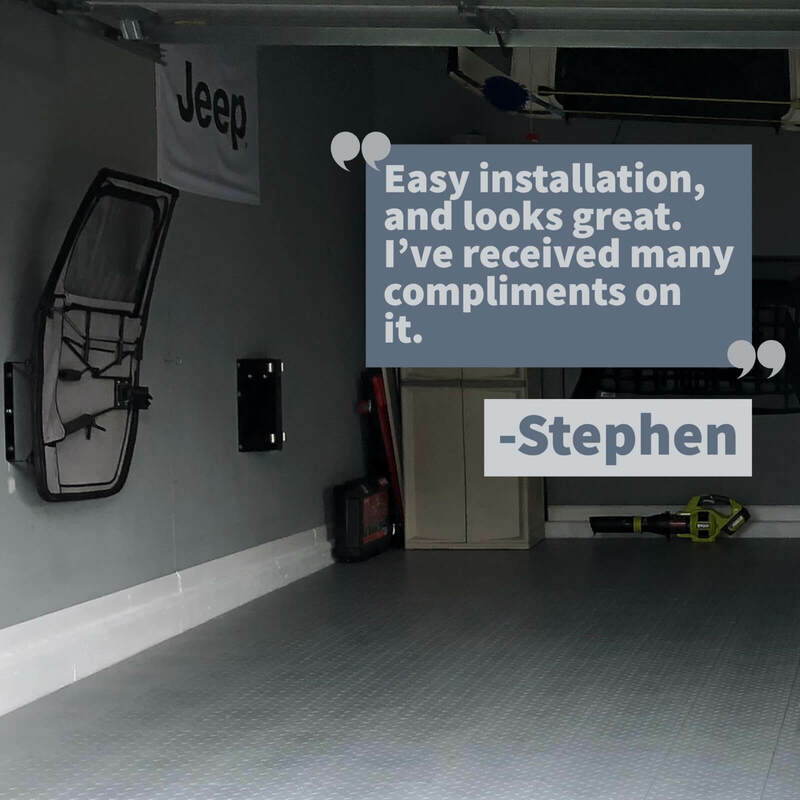 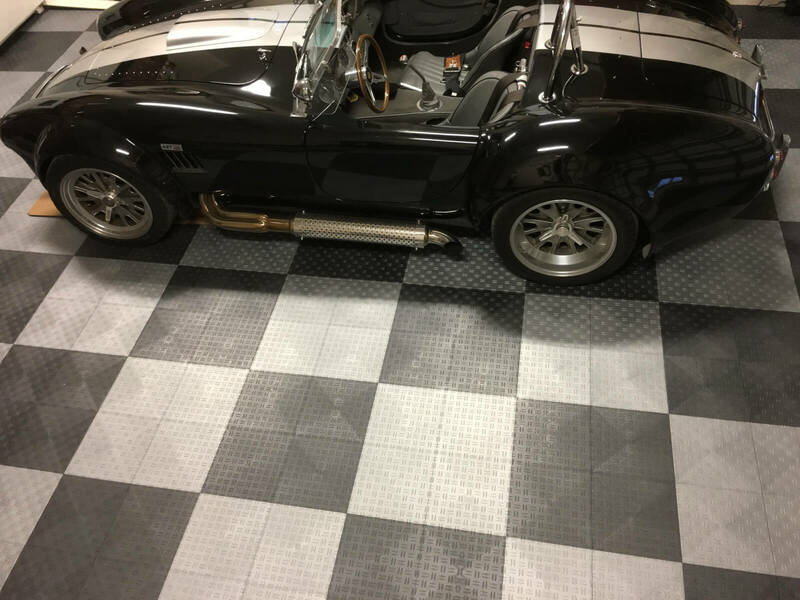 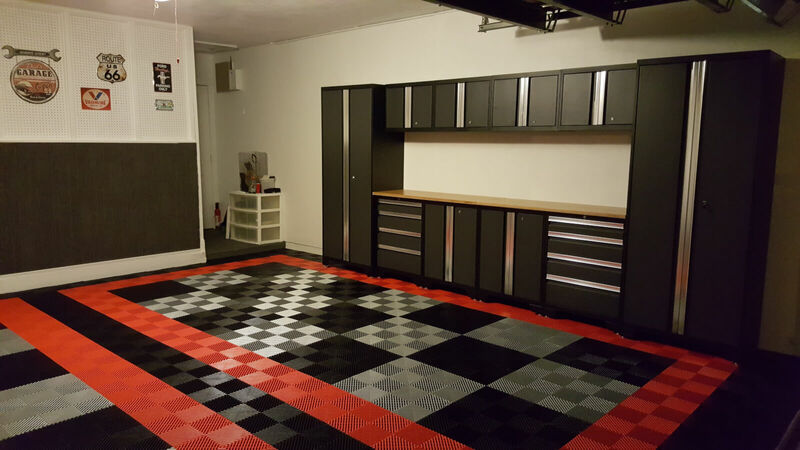 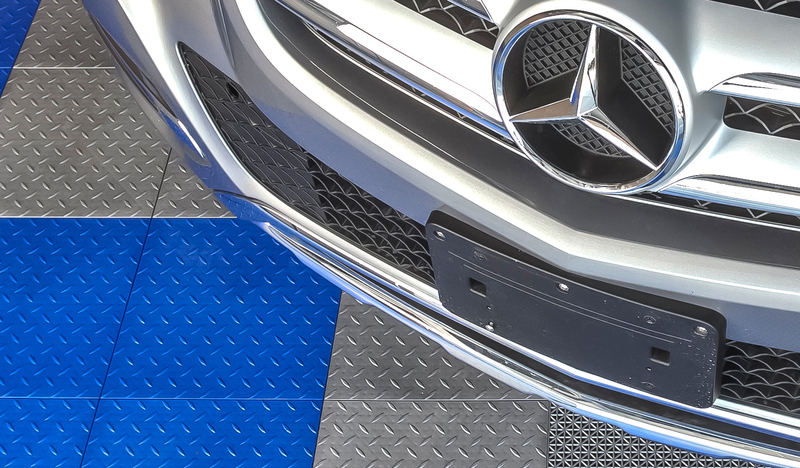 He used the TrueLock diamond garage floor tiles to create a Black and White checkered garage floor with a red border. 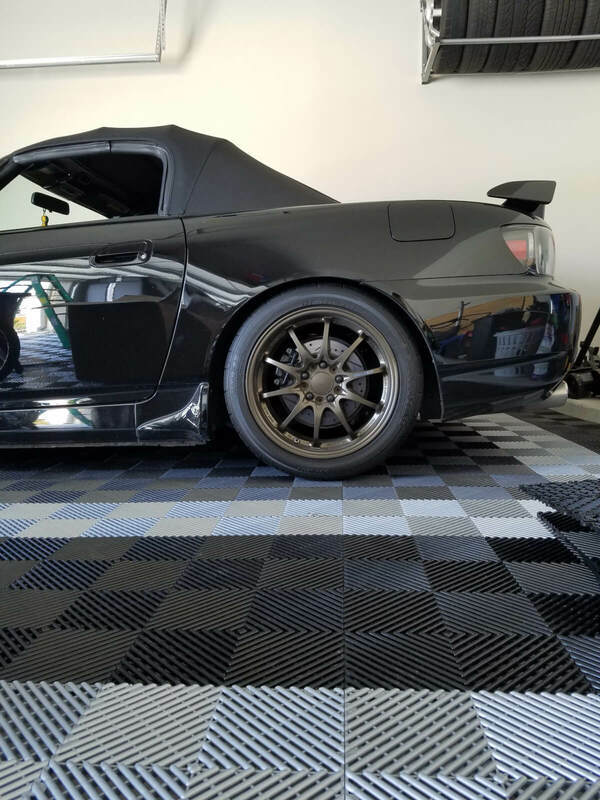 Love the paint to match!